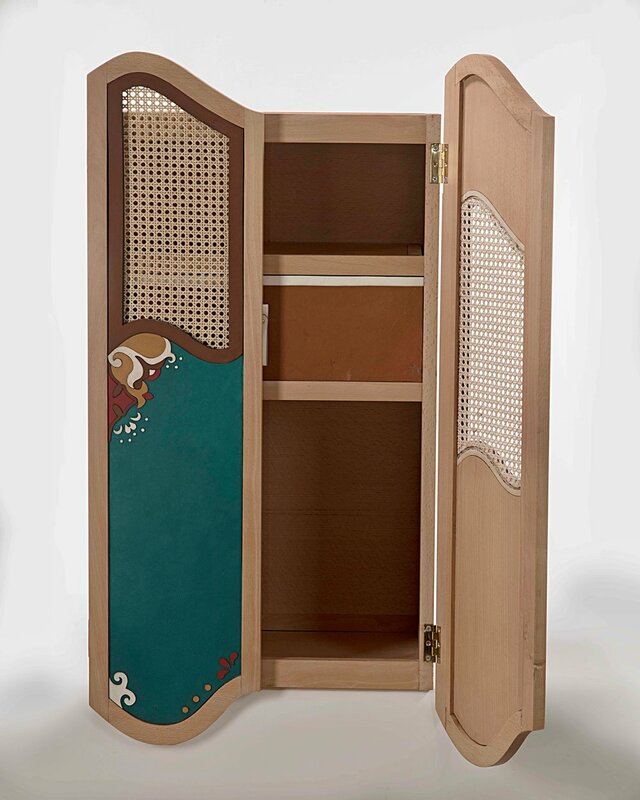 LEATHER TALAVERA CABINET: Inspired by Mexican Talavera Patterns, this cabinet explores asymmetry. The patterns designs were hand drawn and later translated into rhino. Laser cut leather, cane and beech wood. 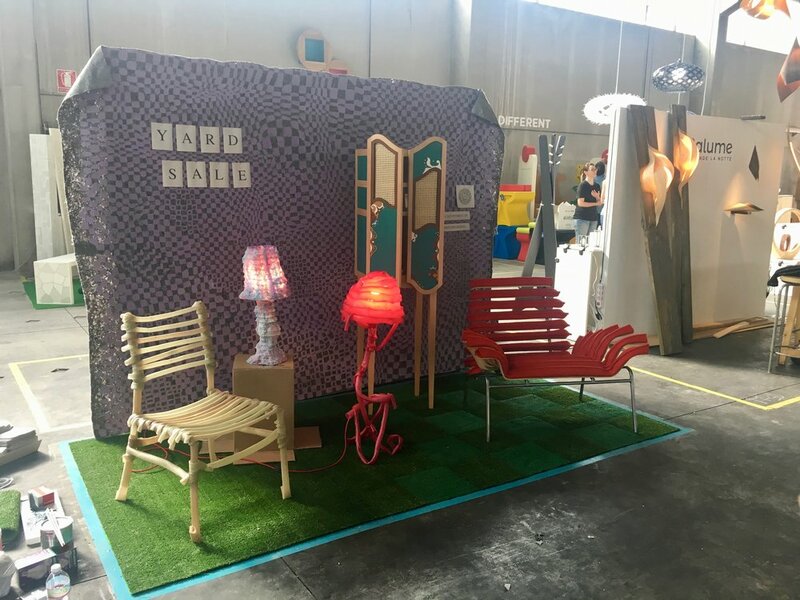 This piece was exhibited in Fuorisalone in Milan alongside Marc Librizzi and Max Pratt.